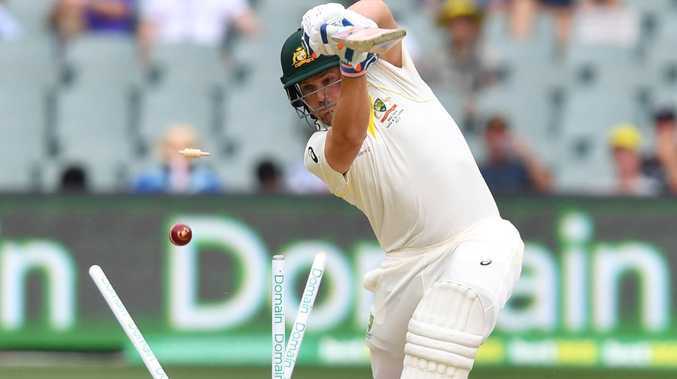 SERIOUS doubts have been raised over whether Aaron Finch is the long-term answer at the top of the Aussie batting order after his spectacular dismissal to Ishant Sharma for a third ball duck at Adelaide on day two of the first Test against India. The 32-year-old had seemingly done the hard yards to finally get Test recognition after a long apprenticeship but questions are growing by the day about his technique and abilities to handle the rigours of the five-day game. After a six-year ODI career, 50 T20s and an overwhelming need for stability at the top of the order in the absence of David Warner, Aussie selectors gave Finch his chance against Pakistan in the UAE in October. Finch's position in the line-up is being questioned. There's going to be little time for a reboot with the Perth Test starting next Friday, but may be he will be better served with a drop down the order with the pressure off a little bit. He's certainly been a victim of poor scheduling, something that has riled former Test star Simon Katich. 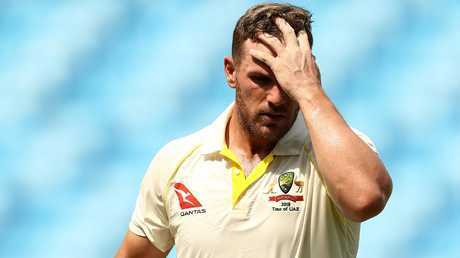 "Because of the nature of the schedule and the amount of white ball cricket he had to play Finch has come in under done," Katich said. "Ideally, he would have played three or four Shield matches before this." For that reason alone he will probably be afforded more chances this summer, but he needs to start adjusting better or he may not survive much longer.